Discounted group rates are available for large groups or organizations who would like to purchase prepaid tickets in bulk. We also offer discounted school group prices. Contact Megan for more information! I will be in Seattle in March 2011 for an Art Convention. I will be staying at the Inn at The Market on 86 Pine Street and traveling to the Washington State Convention Center. Would Monorail be my best way to travel or another. What would be the costs? Thank you. The Inn at the Market is actually located next to Pike Place Market, so you are walking distance to the Washington State Convention Center. All you need to do is walk about 6 blocks up Pike Street until you reach 7th Avenue and Pike Street. If you have some free time during your convention and would like to see the Space Needle, Experience Music Project, or any of the other attractions/museums at Seattle Center, I would definitely recommend taking the monorail from downtown to Seattle Center. To catch the monorail, you would need to walk to 5th Avenue and Pine Street (about 4 blocks from your hotel, in the same direction as if you were going to the Convention Center). The Monorail platform is located on the third floor of Westlake Center (5th and Pine). 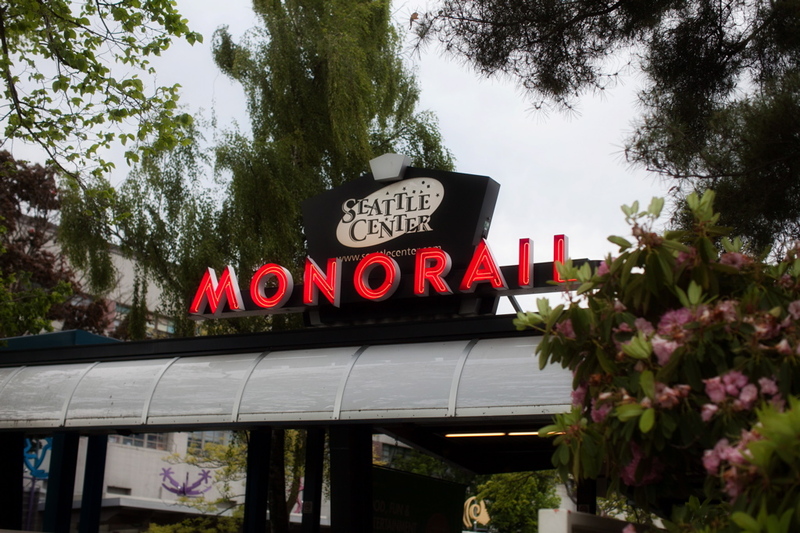 You can catch the monorail (runs every 10 minutes) to Seattle Center. It’s $4 roundtrip for an adult and $2 roundtrip for a senior (65+). Our Website Hope this helps! If you have any other questions, comment back or give me a call (my name is Megan – I’m the marketing and sales manager for the mononrail) at (206)905-2602! Thanks! Thanks. I appreciate you writing me back Megan. The information helps a lot:) Looking forward to my visit in March. Do you predict that there will be extended hours again this year for New Years? On December 31. 2011, the Monorail will be open until 1:00AM for the New Year’s Eve fireworks at the Space Needle. Due to regulations, the Monorail will carry its last passengers from Westlake Center to Seattle Center at approximately 11:15PM. We will resume service from Seattle Center to Westlake Center once we receive the ‘ALL CLEAR’ from the Fire Marshall (estimated to be 12:20AM) and will carry passengers until 1:00AM.